The goal of this project was developing near future mobile and communication device concept for LG Electronics. 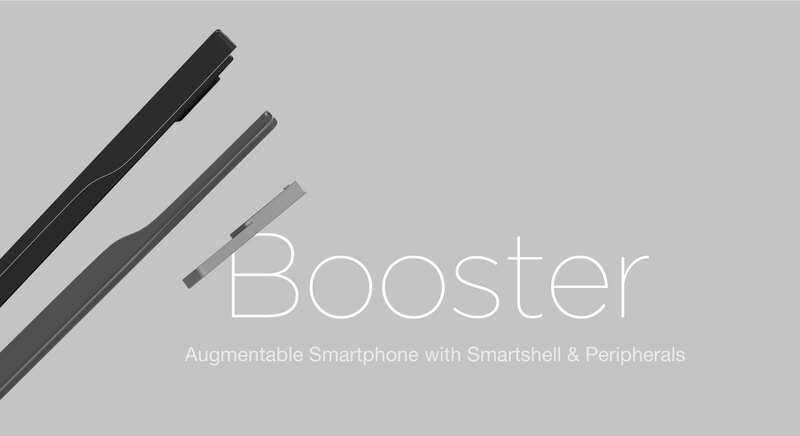 Our team suggested Booster, a mobile phone concept composed of a smart shell and a set of peripherals that boosts mobile user experience beyond the original specification, which creates a hardware oriented business model. Trend research and iterative idea development process including user interview, prototyping, cultural probe and brainstorming were conducted. Finally our team delivered booster product design, ecosystem strategy and user scenario.